I recently finished reading Charlotte's Web to Stephen. He's 6. We both loved it. And now we are several chapters into The Mouse and the Motorcycle. It is so laugh out loud funny to me. Beverly Cleary might be my favorite author of all time. Stephen says he doesn't like this book, but I can attest that's just not true. He is so into it, but it makes him anxious. There are some "suspenseful" parts. At night when kids are asleep, Stephen and I have been watching The Good Wife (through Amazon Prime). 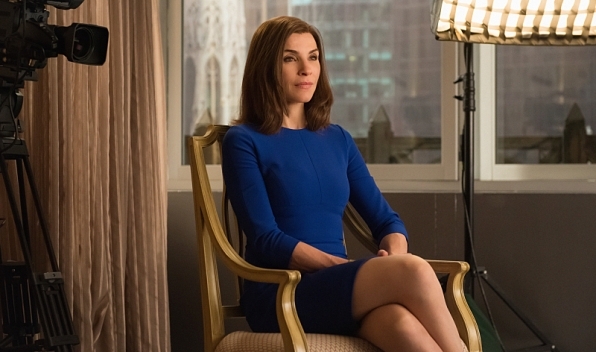 It's all lawyers, politics, and scandal, and Julianna Margulies is gorgeous. Can you believe she is almost 50?! We are only in season 2, but I'm into it. Only 7 seasons left, ha. Apparently, I'm late to this party. What did I do before podcasts? My recent favorite is Sorta Awesome. 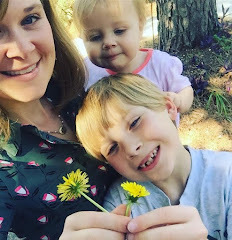 Megan Tietz is the host, a mom, a wife, a thirty-something, and she and her co-hosts discuss all things that are sorta awesome - blogs, recipes, books, parenting, clothes, music, personality types, TV, and then some. If you need some adult company during the day, I highly recommend checking out this podcast! I listen when I'm walking, cooking, and folding laundry. My kids love the intro music to this show. I turn it way up for them and they all go crazy! This post contains Amazon affiliate links, so if you purchase through these links I receive a small compensation. FYI. What are you reading, watching, and listening to these days? I LOVE THE GOOD WIFE! Best show ever, and it only gets better. Well except for season 6, not my favorite. I just heard this week that this is the last season. SAD FACE. Thanks for the book suggestions for the kiddos! Thanks for sharing this podcasts with us! I consider it to be very useful for the modern mom!